* CHECK WITH YOUR CROP INSURANCE SPECIALIST FOR MORE SPECIFIC DATES AND COUNTY ACTUARIALS FOR YOUR SPECIFIC COUNTY. AS WITH ANY DEADLINE WE RECCOMMEND TO ALWAYS STRIVE TO BE EARLY IF IT IS WITHIN YOUR CONTROL. SALES CLOSING DATE-last day to apply for coverage. FINAL PLANTING DATE-last day to plant and receive full guarantee, unless insured for late planting for a lower coverage amount. 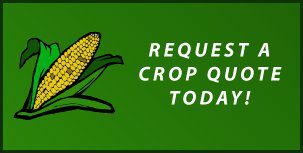 ACREAGE REPORTING DATE-last day to report the acreage planted. If not reported, insurance will not be in effect. DATE TO FILE NOTICE OF CROP DAMAGE-after damage; the date the producer decides to discontinue caring for the crop; prior to the beginning of harvest; immediately, if farmer determines that the crop is damaged after harvest begins; or the end of the insurance period, whichever is earlier. END OF INSURANCE PERIOD-latest date of insurance coverage. PAYMENT DUE DATE-last day to pay the premium without being charged interest. CANCELLATION DATE-last day to request cancellation of policy for the next year. PRODUCTION REPORTING DATE-last day to report production for Actual Production History (APH). DEBT TERMINATION DATE-date insurance company will terminate policy for nonpayment. EARLIEST PLANTING DATES- Corn 4/10, Milo 4/26, Soybeans 4/26 & Sunflowers 4/25. ***These dates only apply to some counties check actuarial for exact date for your county. JULY 1: Wheat Premiums are due. July 15: Acreage reporting deadline for all spring crops, report all spring planted acres and plant dates & report any prevented planting or uninsurable acres. We reccommend matching your acres with FSA 578 to help with disaster payments. August 15: Spring premiums are due(was 10/1), this is from the 08′ farm bill and is a new change for 2012. October 1: deadline to pay Spring premiums without interest being charged.